Sargasso Soul -My Crappy little webcomic. Only thing I can't figure out is the lower left pic, but I love the whole idea and how you drew it! That's supposed to be Adam Adamant. It might have been easier to figure that out if I had placed the image a little more to the left, so you could see the sword cane he's holding. What's really funny is that I thought of Adam Adamant (well, him or Dracula) but didn't think you'd put him in for some reason. 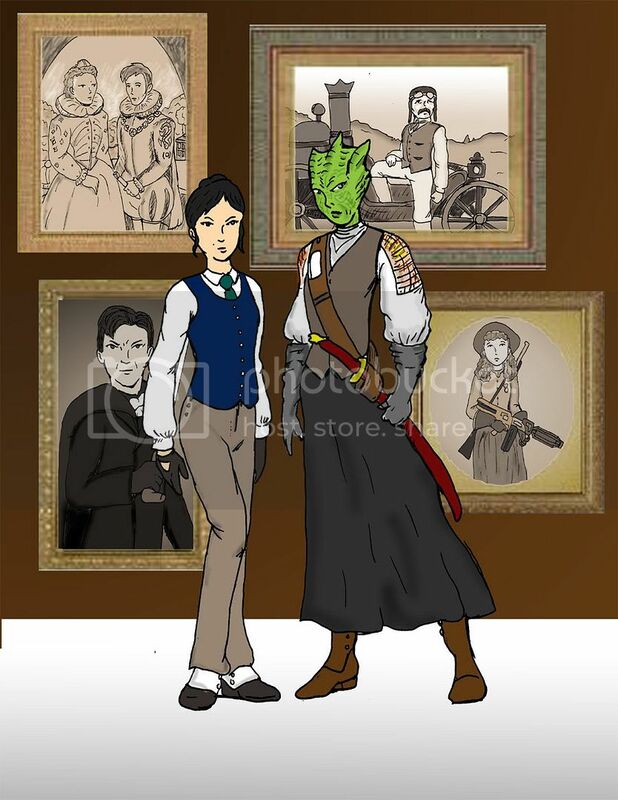 I commissioned another illustration for a chapter of my Three/Firefly fic. Not quite as 'awww' as the last one, but still pretty cool. I like the picture above. Very 'League of Extraordinary Gentlemen.' Except, you know, the whole 'Gentlemen' thing. Look's like they were almost Quarkish. 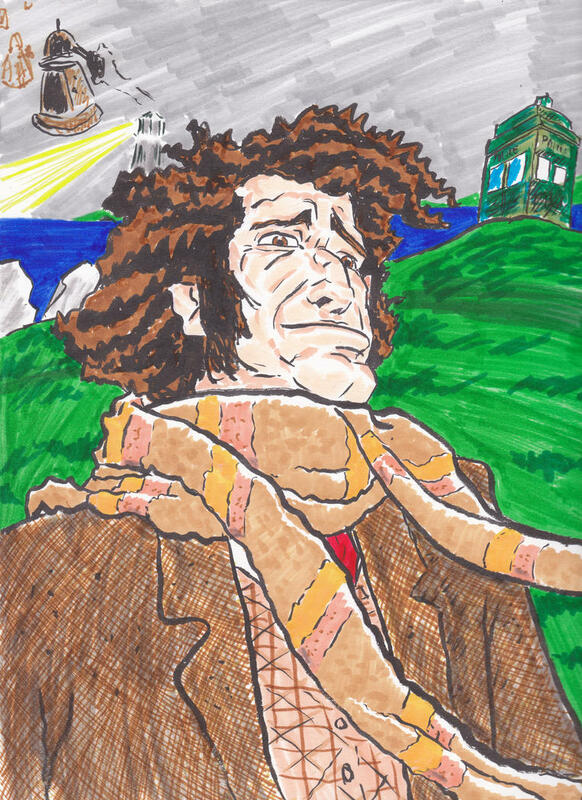 Not a diehard doctor who fanatic, but I remember watching it occasionally as a kid and it was always the hairy guy with the long scarf. Did this pic at a con last year minus visual reference so it's not very accurate I'm afraid. Still had fun doing it. Interesting choice having Tom be Boomer. In the original series (which this crossover seems based on) I found Boomer to be the most developed of all the supporting characters. Blackie is the Black Guardian. Well, I've done the TARDIS history, so I figured I'd do up actual police boxes...That was a mistake...As Brits LOVE police boxes. Just a note to say, I'm sure I got some of the scaling off, as well as some of the specific colour shades. So please don't be to harsh on those fronts.